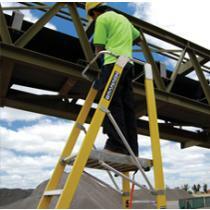 Looking for the place where America looks to for premium quality height access and work platforms? 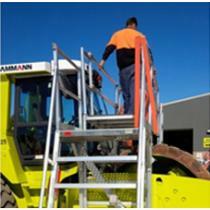 Don't risk worksite safety on non-compliant height access products. Use products that not only increase worker safety and productivity, but also use solutions that comply with regulations set out by OSHA. These solutions are at SafeSmart Access. With branches located in Los Angeles and New York, SafeSmart services the entire nation with onsite consultation, custom design, installation assistance and great after sales service. 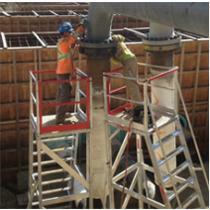 The team at SafeSmart work closely with the client to provide solutions from our standard range that suit the project best, or to create a customized product from the ground up. 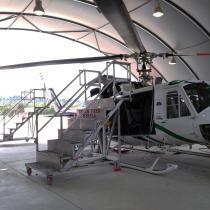 Aviation access – for all aircraft—planes and helicopter and more—easy to maneuver and weatherproof steps, stairs and platforms for passenger access and maintenance tasks. Ladders – from step ladders, to fold-away extension ladders, podium ladders, platform ladders and more, we have a solution to suit your needs exactly. 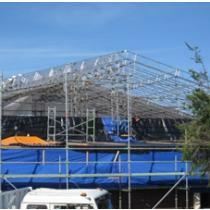 Aluminum scaffolding – easy to set up, robust and compliant. 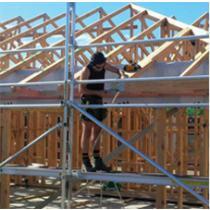 Steel scaffolding – our Proscaf steel scaffolding is great for heavy duty industrial applications. Edge protection systems – for any worksite or when working around higher than normal vehicles, fall protection is a guarantee. 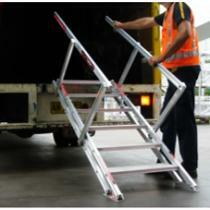 Specialist – industry-specific designs that are always available from SafeSmart Access. For more details on our range, please get in touch with SafeSmart Access, America's premier provider of work platforms and more today.